The stigma attached to SM and Fetish diagnoses is used to justify violence, harassment and persecution because of people‘s SM-preference. SM people lose their jobs and the custody of their children because their love and lifestyle is still considered as a disease. Even law court verdicts acquit self-identified murderers and rapists because the victims are stigmatized as sick perverts. Fetishism, transvestism and sadomasochism are still considered mental illnesses by The World Health Organization and most countries, despite the fact that US psychiatrists revised their DSM manual nine years ago, and Denmark, as the first European country, totally removed the SM diagnosis in 1995. Join the ReviseF65 efforts to remove diagnoses from the International Classification of Diseases! 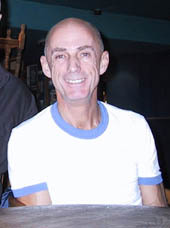 The ReviseF65 project is established with a mandate from the 1998 Convention of the Norwegian National Association for Lesbian and Gay Liberation (LLH). 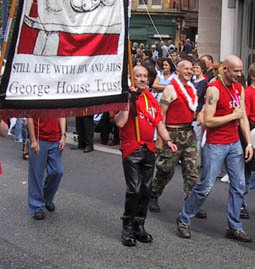 Our efforts is so far supported by the Norwegian Association of Gay and Lesbian Physicians, the Norwegian Society for Clinical Sexology, the 1999 European Conference of the International Lesbian and Gay Association (ILGA) and the 2000 General Assembly of the European Confederation of Motorcycle Clubs (ECMC). 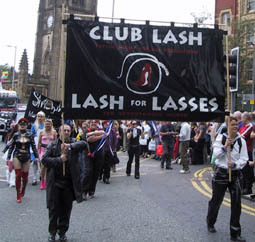 The ReviseF65 group consists of Leather/SM/Fetish men and women representing organizations of Leather and SM gays, lesbians, bi- and heterosexuals, as well as professionals in sexology, psychology and psychiatry. Join the mailing list: to be informed and have your voice heard, join the e-mail discussion group at www.revisef65.org/moderator.html. From Thursday 21st August to Monday 25th August, you can contact Svein Skeid and Eric Barstad at The Rembrandt Hotel, 33 Sackville Street, Manchester, [email protected], tel: 0161 236 1311. From Tuesday 26st August to Sunday 31st August, you can contact us at Blades Hotel, 122 Belgrave Road, Victoria, London, tel 020 7976 5552. RIGHT: One leatherman from SM Gays together with Eric and Ruth from ReviseF65 August 23rd in Manchester before the Europride parade. 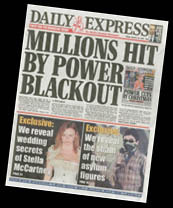 BELOW: This newspaper paragraph in The Pink Paper put us in contact with Ian from Spanner Trust (picture left). BELOW: Svein from ReviseF65 and Ian from Spanner Trust. Svein exhausted after being one hour delayed to the ReviseF65 workshop August 28th due to traffic jam after London biggest Powerloss ever (picture left). Read the introduction to the workshop HERE. Leathermen fighting hiv and aids. 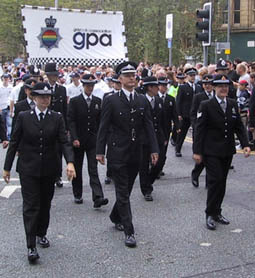 The Europride parade 2003. 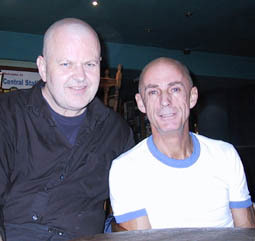 EuroPride 2003, held for the first time in the UK, has been declared the best ever, despite attracting far fewer than the 1.2m who descended on Cologne in Germany last year. More than 250,000 people attended the 10-day festival, visiting 150 separate events and raising £124,000 for HIV, lesbian and gay charities. 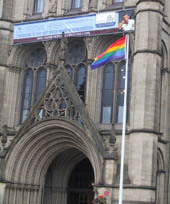 Visitors from all over Europe received a warm welcome with the Rainbow Flag flying from the top of the Town Hall (picture above), and the Greater Manchester Police distributing a very welcoming Europride Special magazine (picture left) all over the gay village during the Big Weekend. 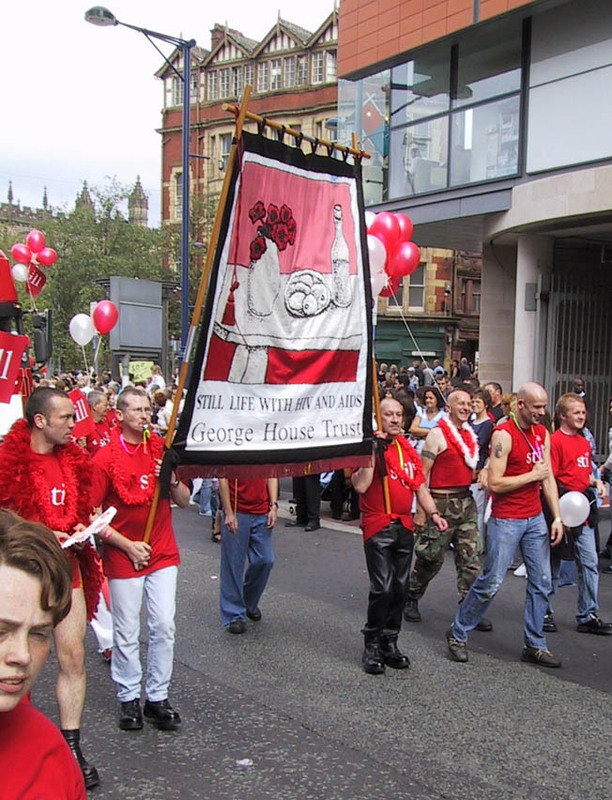 – What a difference today from 15 years ago when I first came to Manchester and marched through the streets against Section 28, said Actor Sir Ian McKellen according to several gay newspapers. 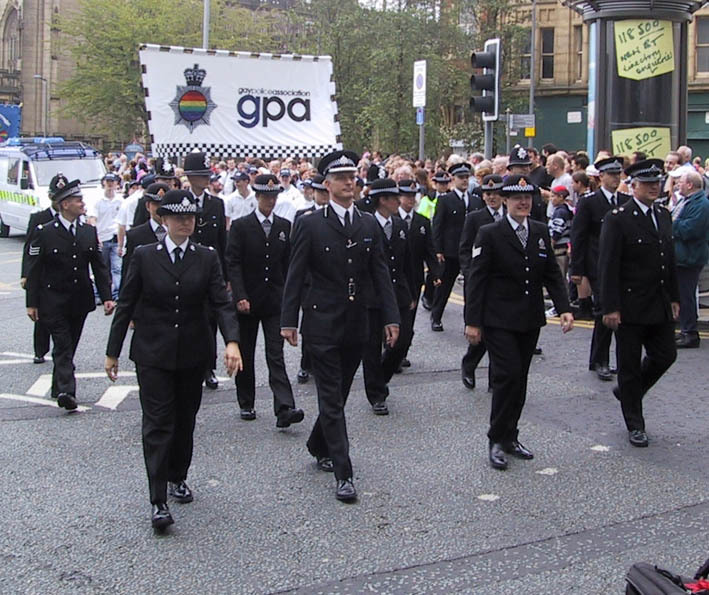 EuroPride started on the 15th August but one of the highlights was when the world’s longest Rainbow Flag stretching a quarter of a mile in length and weighing more than half a tonne was carried in the Key 103 EuroPride Parade on Bank Holiday Saturday August 23rd. Welcome to Europride in Hamburg 2004 and Europride in Oslo, Norway 17-27 June 2005.